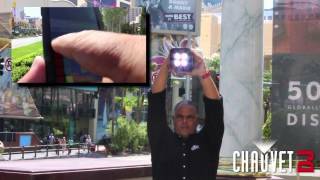 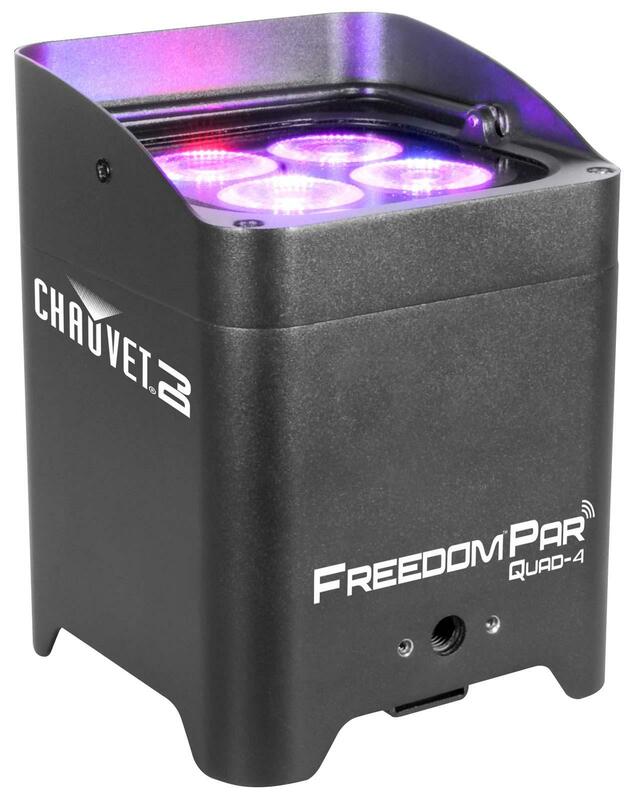 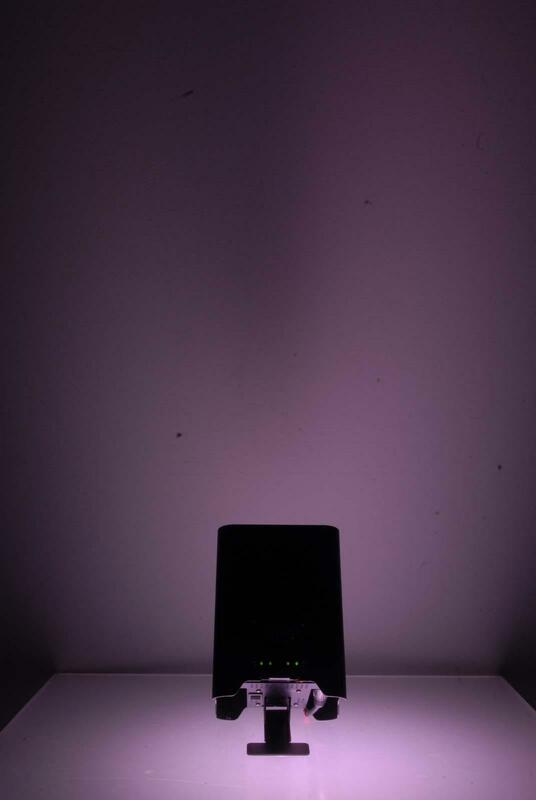 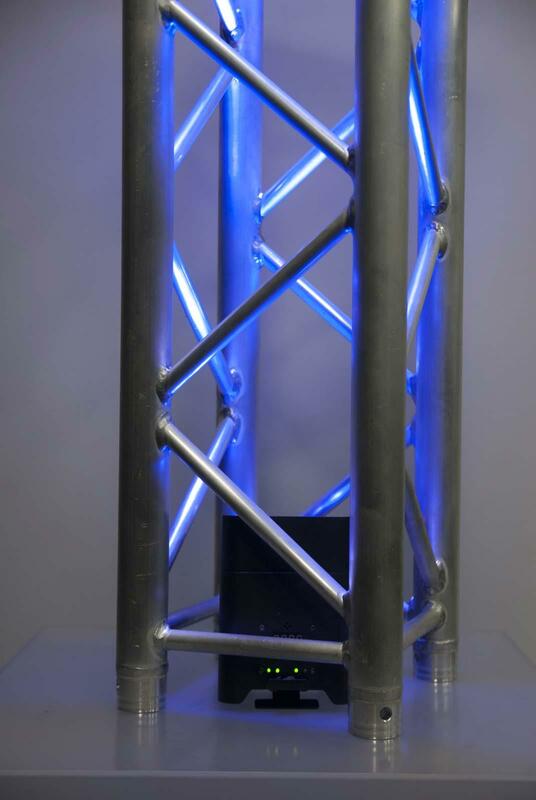 The CHAUVET DJ Freedom Par Quad-4 is a battery operated quad-color RGBA LED par uplight with built-in D-Fi 2.4 GHz wireless DMX control. 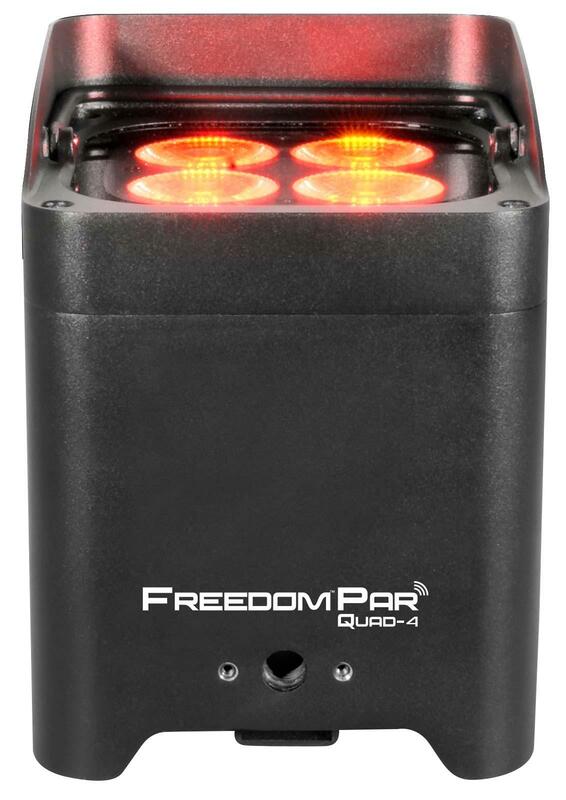 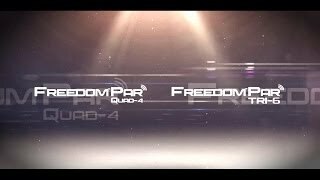 Freedom™ Par Quad-4 is powerful, bright and, truly 100% wireless with a rechargeable battery and a built-in D-Fi™ transceiver. 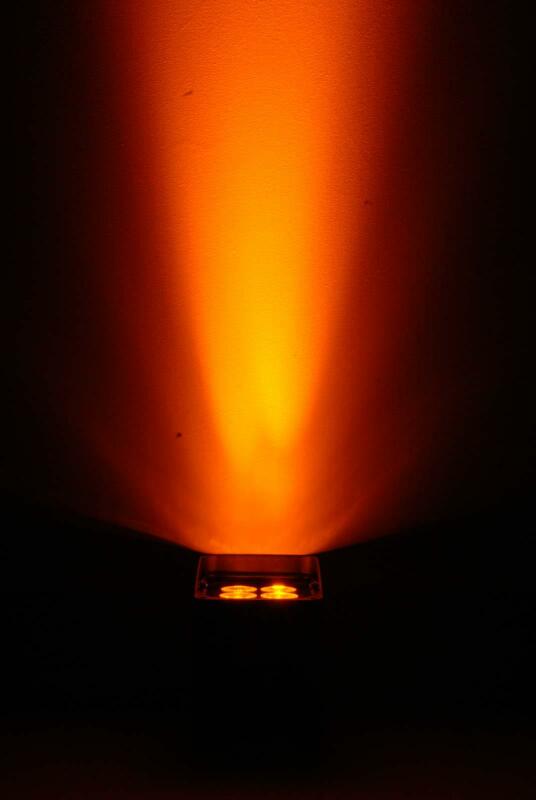 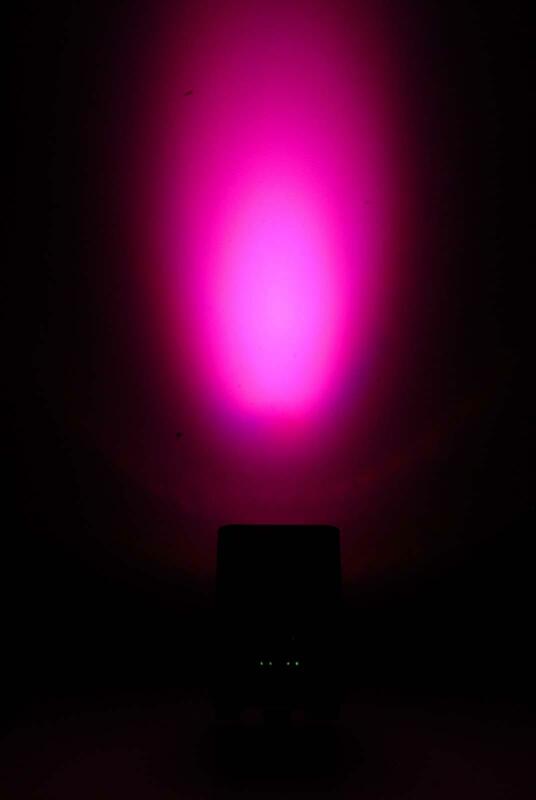 Freedom™ Par Quad-4 has 20 watts of RGBA color mixing for that extra richness and variety that amber adds to colors. 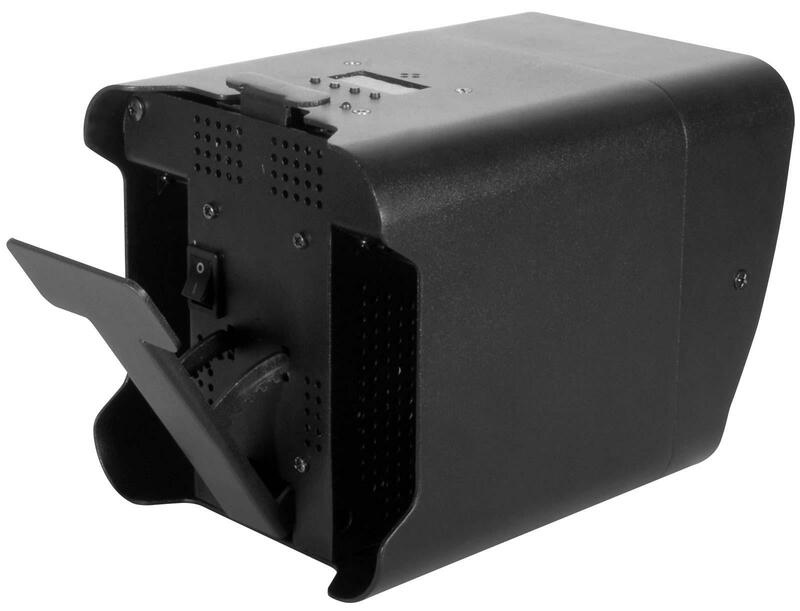 It can be operated with the control panel, the included IRC-6 remote, or from any mobile phone or tablet running the FlareCON™ mobile app. 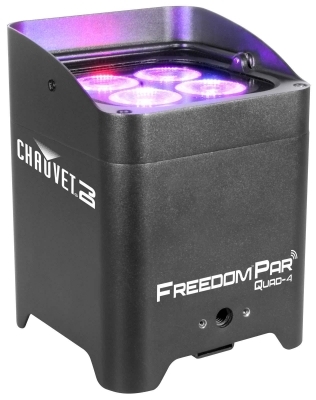 Freedom™ Par Quad-4 fits perfectly inside TRUSST® and all other 12” box truss, and travels safely and stylishly in the CHAUVET® DJ CHS-FR4 VIP Gear Bag.